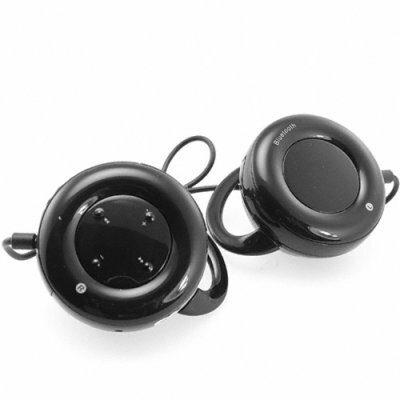 Successfully Added Bluetooth Stereo Headset - Wireless Comfort to your Shopping Cart. Bluetooth headset for listening to music in comfort and style. Some people just can't go without their music, but most bluetooth headsets and handsfree kits are built for the office or car and become impractical in more active situations. Well, here is the best solution yet for a personal wireless music experience. This great product features a flexible over-ear attachment and memory retentive foam for ultimate comfort while listening to hours of music. A simple pairing with your bluetooth phone, MP3/MP4 player, or laptop/notebook computer is all that's needed to enjoy awesome tunes wherever you are. The CVSB-894 can also be used as a handsfree headset with basic receive and call functions. Another great product for todays modern lifestyle that is sure to be a hot seller, order one for your personal sample, then move on to bulk orders if you want to get some serious wholesale discounts that are sure to net you some serious profit.. Your desktop computer does not have bluetooth? Combine with a bluetooth USB dongle sold by Chinavasion to use the headset for listening to music or talking on Skype from your computer.